There was a lot of important information on the U.S. economy released this week but the biggest data point is without a doubt the latest monthly job report from the Bureau of Labor Statistics (BLS) out this morning. 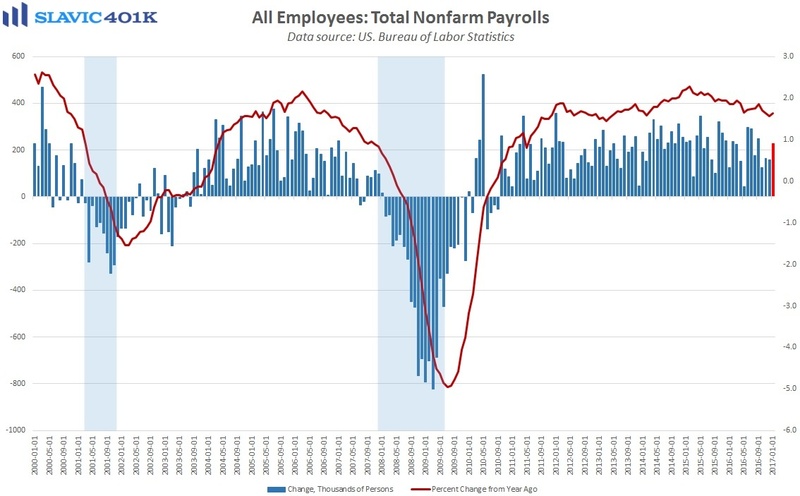 Indeed, total nonfarm employment in America jumped by 227K payrolls in January, much higher than the +175K gain economists had expected and the largest monthly increase since September. There was a significant downward revision to the November employment figure (-40K), and minor revisions elsewhere, which altogether resulted in a 3-month (less-volatile) average payrolls gain of +183K. That was the best reading since October and well above many Federal Reserve (Fed) officials’ estimates for what is needed to keep up with U.S. population growth. However, the unexpectedly large payrolls gain could also be a sign that there is still excessive slack in the labor market, good news for Federal Reserve doves who want to move more gradually with interest rate normalization. 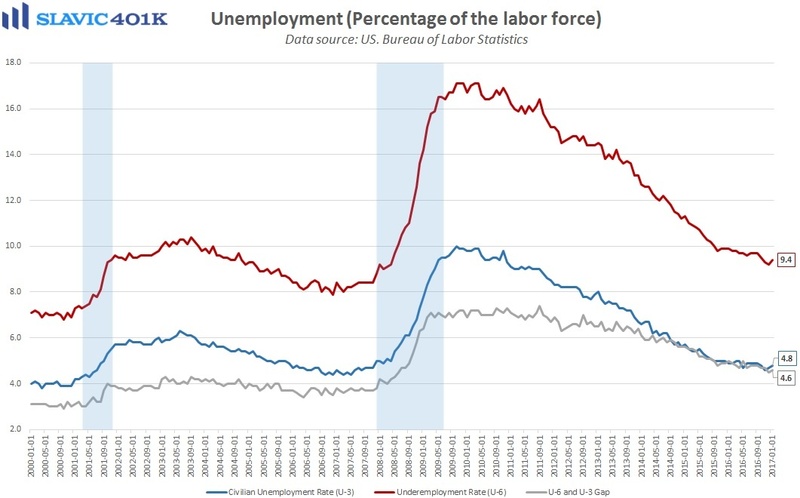 As for joblessness in America, the official unemployment rate (U-3) rose to 4.8 percent in January but this was likely related to the continued, albeit modest, increase in the labor force participation rate, i.e. more Americans reentering the workforce due to greater confidence in their employment prospects. 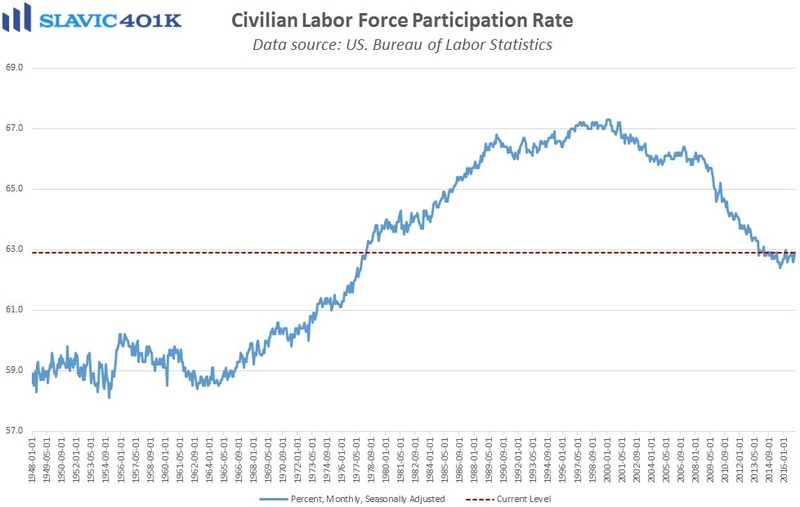 This was evidenced by the number of unemployed Americans dropping out of the labor force (giving up) falling in January to the lowest level since 2007. Similarly, the underemployment rate (U-6), a broader measure of joblessness, lifted to 9.4 percent last month from December’s recovery low. Even though U-6 has fallen considerably since the “Great Recession,” it is still at a level that implies there are millions of Americans who would prefer full-time employment but remain stuck with part-time work. 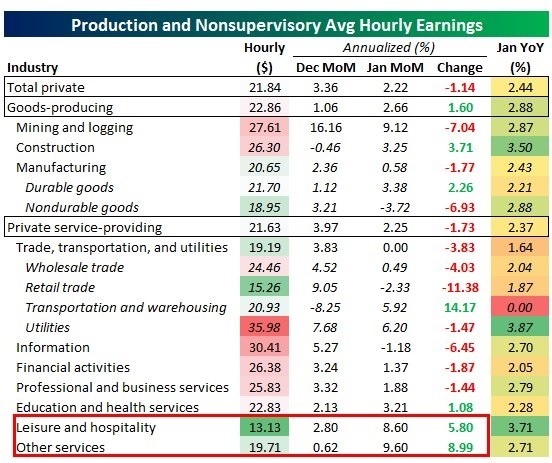 Less encouraging was the latest reading on average hourly earnings, which rose by just 0.1 percent in January. That was well below the +0.3 percent forecast and the December increase was revised much lower, enough so that the year-over-year gain fell to 2.5 percent, the weakest reading since March. 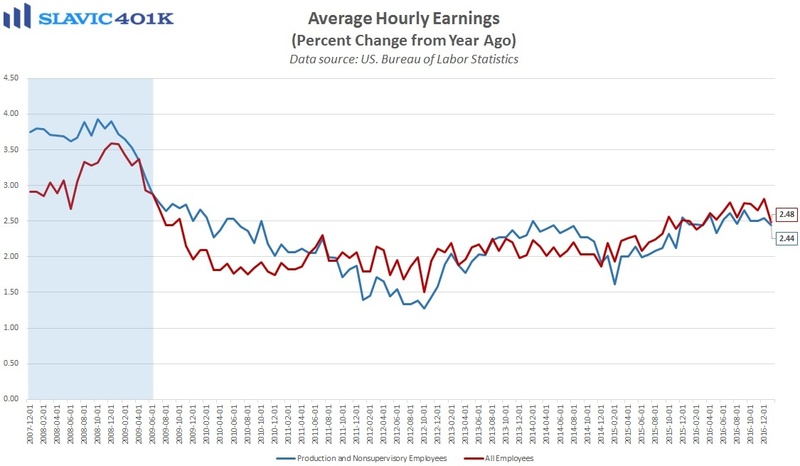 At the same time, average weekly earnings growth dipped to 1.9 percent (y/y), the lowest print since August and likely related to 2016's moderate decline in total hours worked. 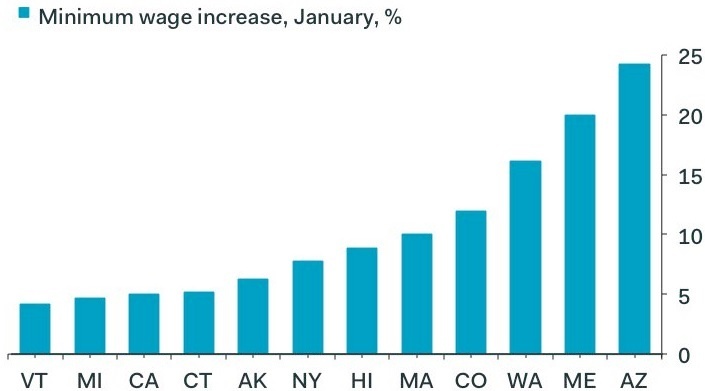 There were some solid compensation gains seen in typically lower-paying sectors last month but this could have been due to the handful of states that had scheduled minimum wage increases in January. Overall this was a mixed job report that could make it harder to justify another interest rate increase at next month's Federal Open Market Committee (FOMC) meeting. In fact, the market-implied odds of a hike at the March monetary policy meeting fell to just 19 percent immediately following this morning's release of the job report, which helps explain why both stocks and bonds are trading higher today.